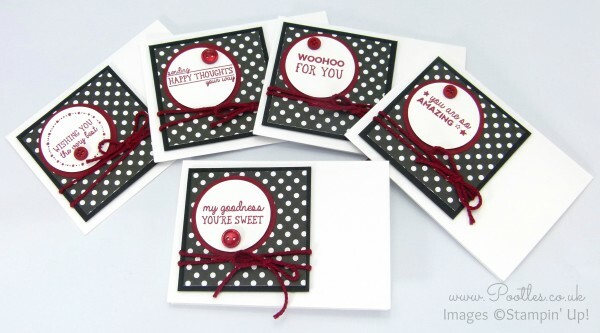 Notecard set using All Boxed Up stamp set from Stampin’ Up! Don’t you just love a stamp set that has been designed to go with a kit, but that you can use independently of it? The All Boxed Up set is designed to go with the kit of the same name, but even though I don’t as yet have the kit, I do love the stamps! I absolutely love our new Thick Baker’s Twine and can see me using all the colours frequently. This is odd to me as I really didn’t use the old In Colours ones all that much. Maybe it’s because these are in colours that I now miss from the ribbon line up??? Anyway! 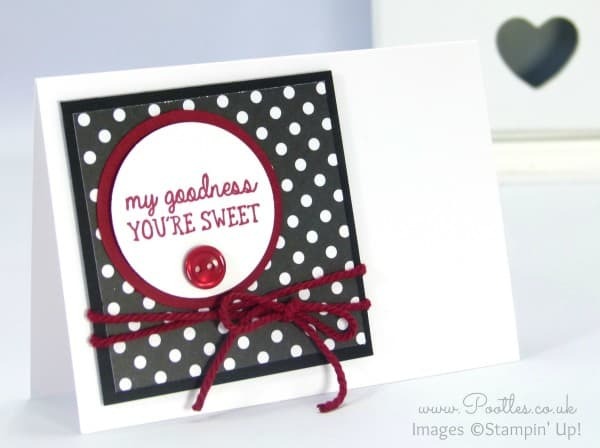 On panels of cardstock and DSP, I have the stamping going on – using the 1-3/4″ Circle on them and backed with the 2″ circle of Cherry Cobbler. They’re simple to make, and would make a great set to gift away! 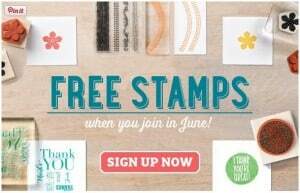 « Stampin’ Up! European Incentive Trip Swaps! Black and white and a splash of colour is a classic I reckon!